Here is the list of the schedules for the 6th window of the 2019 FIBA World Cup Qualifiers Asia. The two games that our Gilas Pilipinas will play will be all away games. 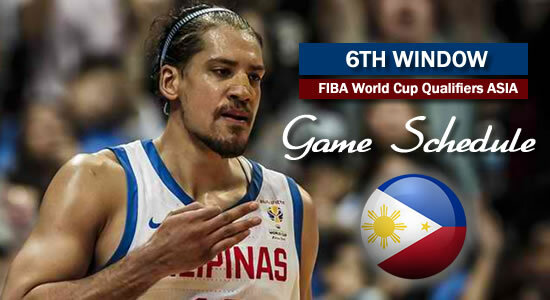 And these two games are all must-win games for us to get a chance to make it to the 2019 FIBA World Cup China. Only the top 3 teams (both groups) plus the best seeded number 4 team will make it to the 2019 FIBA World Cup in China (7 teams in total). Teams on left (home) / teams on right (away).